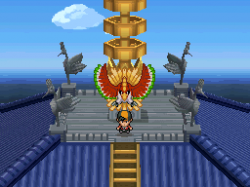 welcome back to a land in johto in the new pokemon heart gold soul silver games. these new games feture new locations that werent in the orignal games. 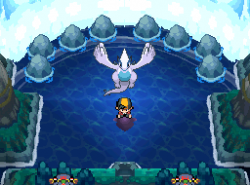 This also fetures sinnoh and hoenn pokemon avalible to capture like groudon(soul silver), kyogre (heart gold), raquazza, latios (heart gold), latias (soul silver), palkia, dialga and giratina. the first gift pokemon in the game is togepi. After beating the first gym leader you get a call from elm. he tells you that he is giving you the egg you had to deliver to him from mr pokemon. the egg will eventually hatch into togepi. go to the gate north of golden rod city and talk to the gate keeper (randy) and he will give you a spearow with a letter attached. he tells you to deliver the letter to his freind on route 31 but if deliver the letter man on route 31 will take spearow away from you. if you want to keep spearow dont deliver him.